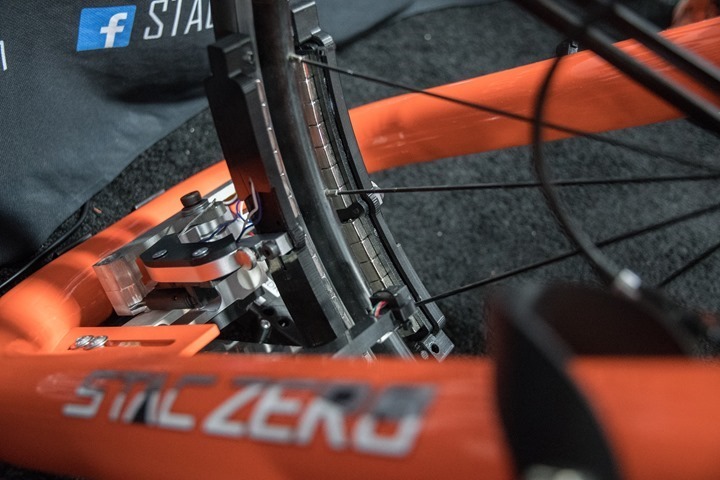 While at Interbike the company behind the STAC Zero silent trainer, previewed their resistance controllable trainer that they’ll be pushing out next year. This trainer builds upon many of the same core concepts as the first one, which used magnets spaced near your wheel rims to provide resistance while on the trainer. In the first iteration of their trainer announced a year ago, the resistance varied based on your gearing, which in turn impacted speed. You could also adjust overall resistance by changing the distance between the magnets and the rear wheel. This entire touchless setup meant that there was zero noise, aside from any noise your drivetrain made just spinning along. It was pretty darn fascinating to see/hear (I show it in a quiet room in this video). 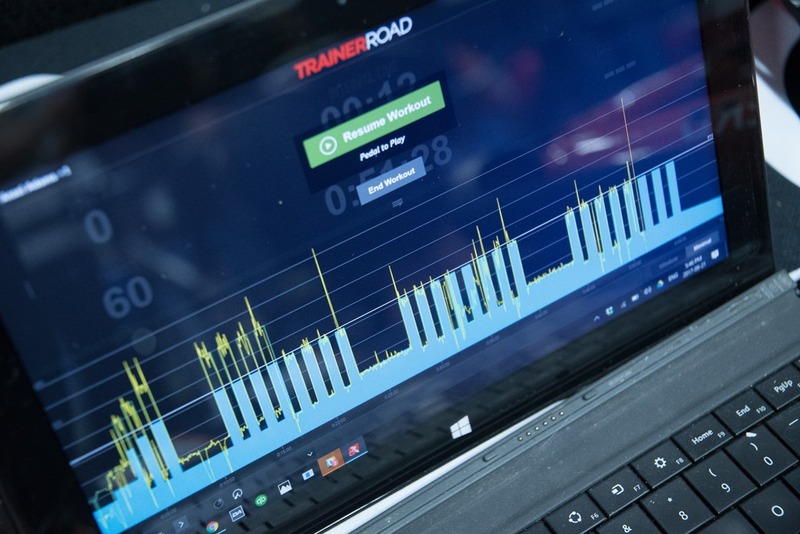 The challenge though was that in the age of Zwift and TrainerRoad, having a smart controllable trainer is where much of the market is heading. With the existing STAC Zero, it’d transmit your power via ANT+ and Bluetooth Smart, but you’d have to adjust gearing to simulate hills or higher wattages. All that changes though with this new model that they previewed at Interbike. While it doesn’t have a name yet, the plan is for shipping starting late spring of next year. That puts them shipping in higher volumes by summer. As you can see, it’s pretty interesting. Now of course given the busy show floor you can’t really tell how silent it is (hence why my other video linked above is better). But the sound will be essentially identical in a quiet room to the existing model. The actuators are silent, best I can tell. Note that the resistance controllable unit doesn’t require to be plugged in. Rather, it runs on a simple USB-chargeable battery pack inside the small pod near the rear wheel. This is great for folks that may want to use the trainer race-side for warm-ups without electricity. Next, I want to briefly talk about road-feel. I recently received their latest product (non-smart control) variant to test out, the standard STAC Zero with power output. When I set it up, I felt the road-feel was crap. Really, that’s the only word that could describe it. So part of my goal at Interbike was to try out the setup of the same unit in their booth to see if it felt the same. After all, if any unit would be setup perfectly – it’d be on at their premier bike show. And indeed – it was flawless on the non-controllable unit they also had in the booth. It felt quite nice. Certainly not the same as a $1,600 trainer, but on par with other $500-$800 smart trainers. So what went wrong with mine? In having them walk me through their units, it’s clear that I was placing the magnets too close to the wheels, thinking that’d be best. Closer is better, right? Turns out no. To demonstrate that, they moved them as close as I had them set up, and indeed immediately their unit felt like crap too. Moved them back…and magic. I only bring this up because it’s something I stumbled into, and I’ve seen some other comments about folks having similar issues. So as noted earlier on, this nameless trainer won’t be available for this trainer season. Rather, the company is hoping to enter into initial production next spring, with full-scale production next summer. Thus ensuring they’ll be well equipped for the fall 2018 trainer season. Also, we don’t know what the price point will be. I’d wager that it should be no-more than a Tacx Flux or Elite Direto (I.e. $899), but that depends on it being highly accurate (hasn’t been an issue in previous unit), as well as durable and consistent. I don’t foresee any obvious roadblocks at this point for them to get there. Note the company says that they do plan to offer some sort of upgrade path for existing users – so they shouldn’t fear having to re-purchase things all over again. Finally, I didn’t get into it with them too much – but note the company is also concurrently offering a wind-tunnel like aerodynamics service to allow you to get position-related aerodynamic metrics in your garage without a wind tunnel (aptly named STAC Performance Virtual Wind Tunnel). 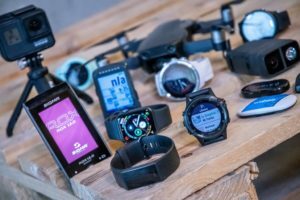 Aside from toying with it at trade shows, I haven’t dug into the device/platform much, but the folks over at Slowtwitch did so, so it’s worth a read. It would seem difficult to induce a current in a mostly non conductor or perhaps there is enough carbon present. It would be interesting. Thanks for this. It’s much hoped-for news. If I look at the pictures, upgrading should be fairly easy, since the resistance unit is held the same way with a few simple screws. I’ve been on a first-generation Kickstarter unit during the last trainer season. I just love how they managed to build the most silent trainer on the market with the simplest of all technological approaches out there. 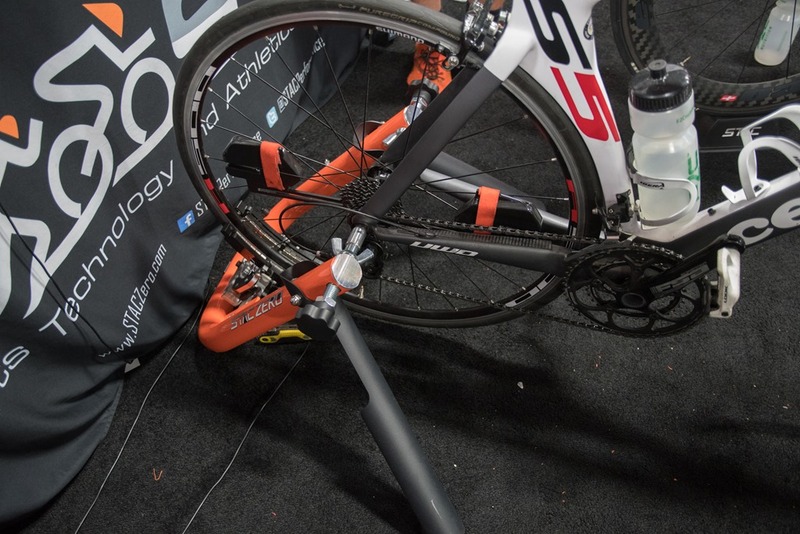 Do you have an estimate when your review will be out for the Stac Zero trainer with power output? This was the biggest gap for me in buying one, glad FE-C is coming from a local Canadian company! Too bad they miss this season. As a Kickstarter backer for STAC Zero, awesome regarding the upgrade path. Looking forward to this option. I have to wait until next season. I am not going to pay the shipping to me and then have to ship it back plus customs duties in Europe. I will continue to ride in spinning classes for now but I have been tracking them for about a year. I am looking forward to this for next trainer season for sure!! Will it be able to handle through axles? We’re almost already there, but by next year I’m pretty sure most bikes sold, road bikes included, will have disc brakes and through axles. So how exactly does this work then…. are the magnets inducing a current in your wheel? All that energy has to go somewhere so does your wheel get incredibly hot? I suppose a wheel has high conductivity and high surface area and is moving pretty quick so will not get stupid hot. I assume it’s warm at the end of a ride though. Exactly the same as riding with (one) brake on. Imagine riding down a hill at about 15 km/h (so minimal losses to drag). You’re converting you potential energy (mass x height x G) into kinetic energy (air molecules whizzing around a bit faster), via your brake rim. I’ve never noticed my brake rims get hot even after very steep and slow descents (on fast descents potential energy -> kinetic almost entirely through knocking air molecules out of your way). Well, I’ve noticed hot rims both on descents and on the Stac, but never to an extent that I felt I would burn myself if I just touched them for a moment. It’s warm, but I don’t think expensive wheels would be melting. Mine certainly haven’t. A steady-state 350W effort will eventually heat the rim up to about 65C: hot to the touch, but not dangerously so. In our tests, each extra 100W of sustained output added about 10C to the rim temperature. Keep in mind that during high efforts, the rim itself is encountering about a 40km/h airflow, and so is getting lots of cooling. The faster you go, the more cooling their is. I’ll add to this that the melting point of aluminum is about 660C, so using the numbers Eli posted above, you’d have to be putting out about 6350W to get over that. Ah, but what’s the exploding point of inner tube/tyres? Well, it’s way the heck above 60C, but you don’t need either one on to use this trainer 🙂 If you have a trainer wheel like a lot of people do, just use it without a tire or tube. I love the look of this! It would have meant that I could have trained in the house with our newborn asleep last winter. Do you have any idea what the max wattage output is likely to be? Also… how is it actually measuring power? Ray quoted their response about this in his original article from last year. They basically directly measure the force of the magnetic field. All differences should be down to power loss in the transmission from your pedal stroke to the wheel speed. A solution to a problem that doesn’t exist. Complete waste of time, this will never sell as they are 2-3 years behind everyone else. Rather harsh comment with little motivation to the statement. I would agree with this if we’re talking about Wahoo’s gradient simulator. But according to you, if I understand you correctly, resistance-control is a solution to a non-existing problem, while at the same time their trainer is 2-3 years behind everyone else. Yet, given that their trainer comes soundless and with an added power meter, resistance control to me seems to be the only thing that’s missing in a benchmark of key functions added over the past 2-3 years by the likes of Wahoo, Tacx, and Elite. So, this they add, and technologically they achieve it much simpler. 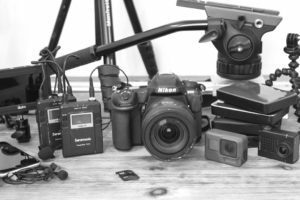 For that reason, it’s much more lightweight, portable, and inexpensive. Will it sell? Don’t think they have the marketing resources to be a market leader. 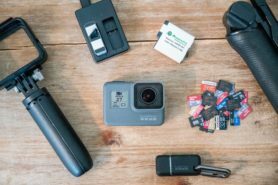 I also think that the product has some limitations and will not fit everyone’s needs. But I think they have quite a good offer for those that are looking for something way below the price point of the dominant players in the market. Now, I’m a user and very satisfied, so I’m certainly biased, but I and some others that commented here are indication that some market for their product exists. John’s comments on most products/posts he comments on here are the same: “Don’t see a point”. 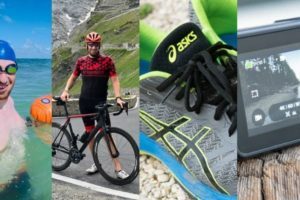 That’s been the case for Suunto sensors, WatTeam power meter, CycleOps trainers, Airhub, Power2Max power meters, ProShift…and yes, even women’s cycling. I wish I could find that surprising but given the state of women’s sports in the world I’m, sadly, far from surprised. Only issue I can thing of is how do they calibrate it as it would depend on the rim how much resistance is generated by the magnetic field and the true-ness of the wheel ?? Would consider upgrading to this if it’s ever out in Australia. 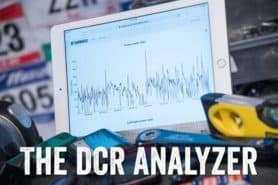 We had had the actuator idea for quite a while, but we did see your comment on the last DCR post and were like “hey, another intelligent guy came to the same idea! Hopefully that means it’ll work”. Wrt calibration, because of the location we mount the strain gauge, varying wheel distances and constructions don’t matter. If you reduce the amount of aluminum or move the magnets further away, it results in a lower reaction force on the magnet array, which means the strain gauge (which supports the magnet array) sees a lower force, which results in a lower power reading from us. When you likely to be selling this in Australia ? 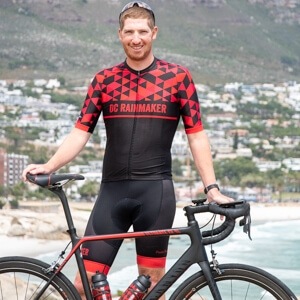 Do you think the upgrade option for existing users would require the powermeter version or be able to receive power info from on-bike pm? I have the non-powermeter version currently. The likely form of the variable resistance upgrade will be a swapping of resistance units, so it’ll be approximately the same procedure and availability for PM and non-PM existing users. The easiest place to do the swap is the two bolts that hold them onto the frame. That’s pretty sweet. I’ll definitely be looking into this in a few years. I was looking for a lightweight low-powered solution to use for getting cardio on ocean-crossing passages during a circumnavigation. This should be great. I’m keen. Imagine though if you could make an FE-C resistance unit that would swap in to my existing (Tacx Satori) trainer? That would be sweet. Sign me up for the pre-order if you guys ever do! As I’ve just been looking into adding resistance to my rollers and looking into using magnets, similar to what CycleOps has for their rollers, I’m assuming this uses the same principle. I’m also assuming this will only work with alloy wheels and that performance isn’t goin to vary between rim brake and disk specific rims due to the additional material needed for rim brakes. Any word from them on either of those points? Maybe they can adapt this to use disc brake rotors as the moving conductor in the magnetic field. Doesn’t fix full carbon with rim brakes though. Super excited for this. I’m probably like most people commenting here and I am tired of hiding out in the darkest edges of my house just so that my trainer doesn’t bug the family. ERG mode would be a most delicious icing on this cake. Yes! Been waiting for this since I began following them when Ray previewed their first iteration. I hope the price is competitive/better than the direct drives, since cost has been the main reason I haven’t upgraded my dumb trainer. The Stac seems to check off several boxes: quiet, no tire wear, light but durable (should be due to it’s simplicity – TBD). With an upgrade program, I may get one for this winter. I have a stationary bike with magnets that I use on zwift with a power meter. 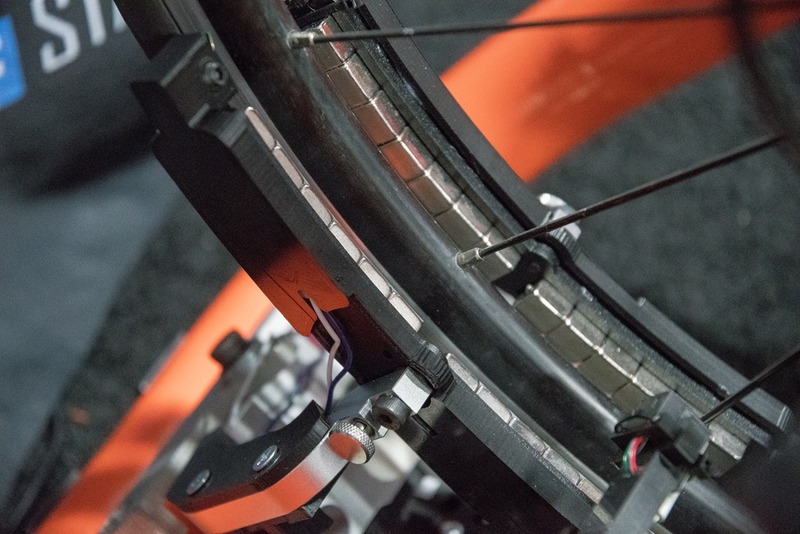 Basically, magnets transform the bike power into heat. The magnets produce heat near a moving metal (actually, that might be the metal that warm up near magnets or maybe both). Also when the wheel is hot, the resistance seems to be lower that when the wheel is cold. We have done practical sustained-power tests as well as theoretical heat and airflow calculations, and the hottest a wheel should get on a Zero is about 65-70C, which is well below the temperatures they hit while braking. In order to put more power in, you need the wheel to go faster. But when the wheel goes faster, you get more airflow, thus cooling the brake rim. If you put the magnets right onto the rim you might be able to heat things up to a greater degree, but it’d feel like climbing a 50% grade, so most people don’t do that. Could you elaborate on the spacing of the magnets? I have the current PM unit and I like it well enough, but I feel I have to put the magnets quite close to the wheel to generate a decent amount of resistance (not that I’m a powerhouse by any stretch of the imagination). The worst part for me is that there is enough flex in the trainer frame that on harder efforts, I tend to rock the bike a bit which changes the spacing to the magnets and hence the resistance. 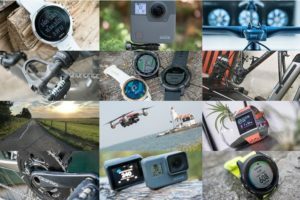 What gear are you in? I’m probably all wrong, but I think they are suggesting higher gearing, so higher wheel speed, with a bit more space between the wheel and the magnets. I think they recommend around 0.5 cm. Kind of the opposite in gearing from what you would do with something like the kickr where you want lower gearing and lower wheel speed with higher resistance to keep noise down. I have this exact issue… as I pedaled harder the flex in the rear system would change the spacing from side to side and result in terrible feel, like a pulsing resistance. This made the trainer effectively unusable for anything other than a steady-state spin. I might try again with a larger spacing to see if that changes the experience. Currently the Stac is sitting in my storage closet collecting dust. Pretty much always big chain ring on the front. Back gear varies depending on how much power I’m trying to hold. I’ll have to double check but I think I’m usually up around the 7th/8th gear when holding close to FTP. They give you a little spacer. I usually use the tightest spacing it provides. I tried the next wider one for a while but I was up in gear 9 or 10 holding FTP. Just acquired the basic version, and happy to see there will be the upgrade option. I wouldn’t afford another intercontinental shipping for the whole thing, but this option makes the upgrade something feasible. Looking frwd for it. Thx. Only one big problem I see with this; if you are in Europe you are screwed 70 USD shipping for 4-6 weeks or 150 USD for shorter time period and then you have to pay customs duties and tax. That might be a deal breaker for some people. This looks AMAZING! I am very interested. I also am really bummed it is not available this year. Can you share with us the details of what an upgrade path would look like from a cost and process perspective (roughly)? It will help me decide whether to get the STAC trainer this year and upgrade next year or wait until next year. I’m so confused. How does this work for rims that are not magnetic? Carbon rims, for instance? Sorry of this is covered somewhere and I missed it. It doesn’t. You need metal rims. The rims don’t need to be magnetic (and wouldn’t work as well if they were). They just need to conduct for eddy currents. Does this work on different sized wheels, say, 650s? Yes, the STAC Zero works with 650s along with 700, 26″, 27.5″ and 29″ wheels. We just posted updated FAQ’s under the support section of our website to help out with good questions like this and others in the thread above. I have one from the Kickstarter Campaign, and I was wondering if you have noticed the same thing as me. I do like it, but I find that I have to use a much larger gear to push the same power at the same cadence. The basic version looks awesome to me, I want it, but $350 USD seems stiff for a stand with some magnets on it. I’m not convinced their patent will hold up. I can see someone replicating this general design and slashing the price in half. I am an owner of very first version. Yes, the tax and shipping thing is a major bummer for us euro guys. I ended up paying 450€ which is a lot of money for the actual thing. – Once the rims heats, the resistance seems to get lower. I agree with that. I am always in big ring, cog 8 – 9 for FTP wattage ( around 270 w) , 85 – 90 rpm. Small ring is just useless here. I’ve been doing sets around 360w in smallest cog with no issue, on 90 rpm range. For me, resistance is more than enough. Don’t move that much on the bike so no problem with the flex thing stated by other commenters. – The product finish has several flaws: The metal legs foot where it stands on are slowly getting damaged. Be careful with this and use some kind of plastic protector on them. Also, the skewer to hold the bike just cracked by normal use. I wonder what I will do when it definitely dies. The magnet’s plastic piece that attaches to the wheel spokes are kind of annoying, if you want to put them in a rush. – If you’re moving the wheel in and out from the trainer, getting the same resistance level from the magnets is a matter of luck. Other than that, I am fairly happy with this thing. Noise is zero, which is simply awesome, and enough resistance. Hope it stands the test of time, but as I said some of it’s parts are starting to show damage or are directly broken. How is the smart (resistance controllable) version development going STAC team? Any updates? I can`t wait to use it! A long overdue update but development of our new variable resistance trainer has been progressing very well and we just announced that we’ll begin shipping the new trainer and upgrade kits in July within North America! We have begun taking preorders and have a limited time special offer for customers looking to upgrade their existing STAC Zero and new customers looking for a smart-controlled STAC Zero. Current and new customers alike will appreciate the smart-control functionality and how the magnets automatically adjust to your target resistance level. 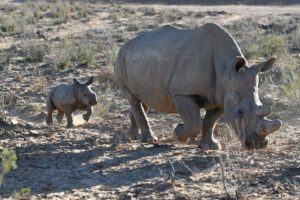 We put together an FAQ page so you can learn all about the new trainer at link to staczero.com. For our European customers, we’ll have the preorder page with all the details available for you next week. What about cadence? Will you be able to do slower cadence work if the magnets automatically adjust for you? Do you know what all is included with the STAC Zero Halcyon Upgrade kit? I assume if I already have the STAC Zero without power meter, I would have to also get the accessory power meter to be able to use the smart control apps like Zwift and TrainerRoad. Is that correct? Also, does it utilize the same magnets from my original STAC Zero or does it have new ones with the kit?